It’s September. All you want to do is sit at home and watch ESPN classic reruns of golf from the 40s right? Of course you don’t. This is the time of year when you put away all your old excuses and make an attempt at life again. Put away the summer kiddie pool, start reading fitness magazines on the can and make that effort. September is full of good intentions. So put down your margaritas but remember, good intentions have a way of going sour once Oct. 1 comes around. Don’t worry. The Reflector has your athletic dreams covered, which is good for you because endorphins will help you come exam time when everyone else is acting like a Negative-Nancy. Notice how everyone is always telling you how great their workout plan is. Want to know why they love it and you don’t? It’s because it’s not yours. We all need to feel a sense of self-accomplishment. That’s why we like pretending everything is our own idea. Luckily, your gym pass at Mount Royal University comes with way more then just one option. Check out the class lists, play an intramural or join the squash team. MRU’s world class facilities, trainers and equipment can provide you with whatever you need to fit your own egotistical need to do something yourself. Just remember that The Reflector told you first! Don’t you hate the jerk that eats pizza all day and still has a six-pack? Don’t worry, we all hate those people, but just because they were genetically blessed doesn’t mean we shouldn’t watch what we eat. Fortunately, there are several nutritionists that work right on campus who can help you develop eating strategies that work for you. Don’t want to give up pizza? Don’t. Develop a plan to ensure that you have proper eating habits along with it. Last of all, if you really need that entire ice cream cake after a hellish 9-hour group project, just do it. You know, public safety and all. 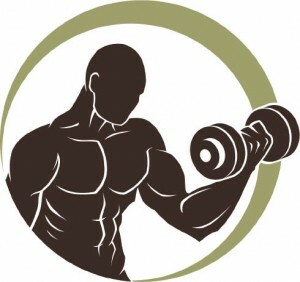 Exercise, like most things that release positive substances into your body, can be addicting. There is such a thing as too much. By planning ahead when you’re working out, you can make sure balance exists in your life. After all, no one is going to care how much you can bench if you’re homeless because you were in the gym gunning your lats instead of in class. You’re paying a lot for the privilege of being here. If you would rather be a juicer then drop out and do that. Save the coin. There is no better way to get motivated then the gentle ribbing of a good friend. Find someone of similar athletic prowess to you and get going. It’s a great way to try new workouts in a low-risk situation, And actually smiling during a workout helps on the days when the gym is the last place you want to be. Also, when you’re both ready to quit, you can go to the pub together and feel like its okay because you just giggled reading magazines on the elliptical for 20 minutes. The Reflector’s plan is all about moderation. If your friends invite you to watch a band but you were supposed to go to drop-in Zumba, choose the band. There’s nothing worse then the friend that ditches everyone for sweaty metal bars. We want you to stick to your plan but also go out and do what you want. You’ll regret not having fun in university so just do it and go to the gym in the morning. Nothing kills a hangover better then two hours of suffering the next day anyway.